The best way to increase our understanding of misophonia and find effective treatments is to focus on the research. 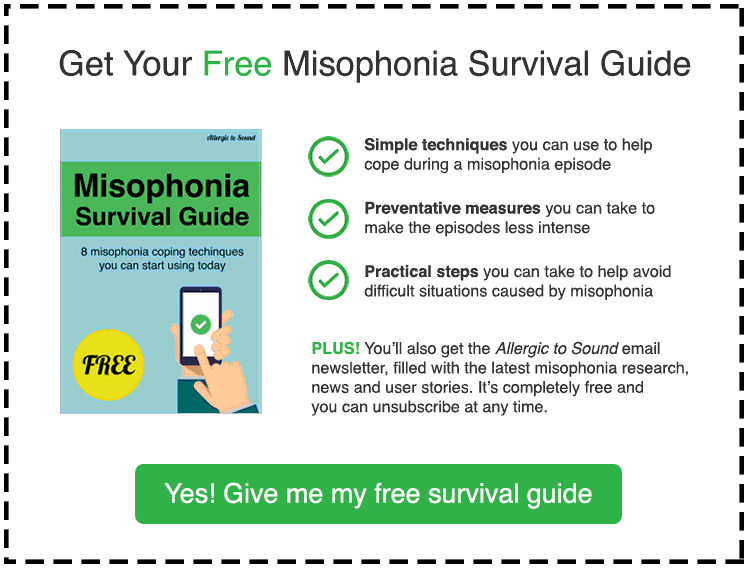 It’s great that misophonia has been getting more press recently, but we’re in danger of falling into a bit of an information loop… with the same tired old “anger” and “rage” soundbites being thrown around. This is a fascinating and complex condition and the more you learn about it the more interesting and less ‘freak show’ it becomes. I’ll always try to post links to relevant reports and papers on this site (and you can access these here) but if you’re keen to do your own research, and you’re feeling adventurous, here are a few places you can look. 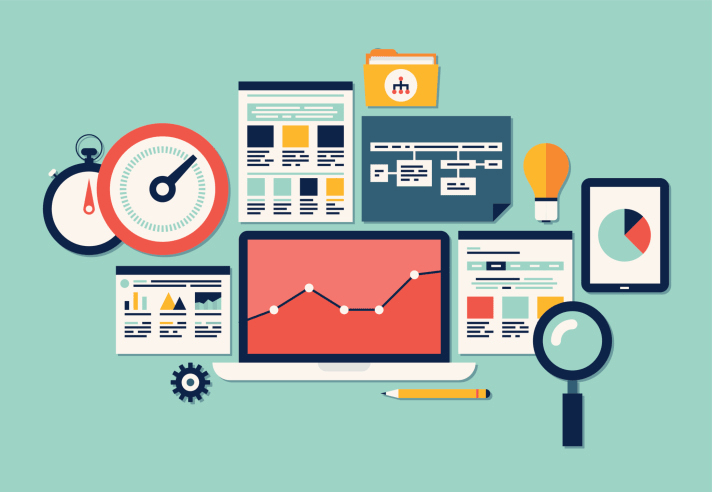 (Indeed you can use these resources to find research and studies in any field). 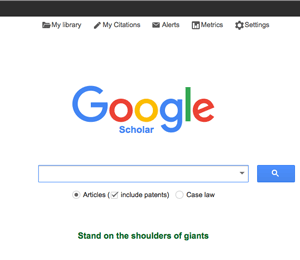 The first place to head to is Google Scholar. This is like the ‘normal’ Google, but it’s purely for academic studies. So if you search for ‘misophonia’ you’ll get access to published papers, reports and PDFs (where applicable) without being subjected to pictures of cats, self-help memes or Kim Kardashian’s bum. Here’s another, similar deal to Google Scholar. It’s called Jurn. 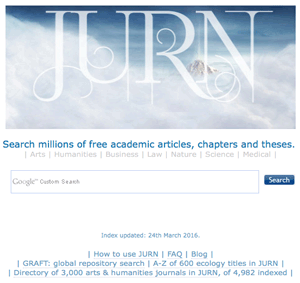 Originally setup in 2009 to provide access to studies in the arts and humanities, Jurn has since expanded and now covers science, biomedicine, economics and more. It’s a highly respected portal for students and researchers alike. The last one is more controversial. I’m not sure about the legalities of linking directly to it here, but if you’re interested you can find it by Googling ‘sci hub’. The address ends in .io. 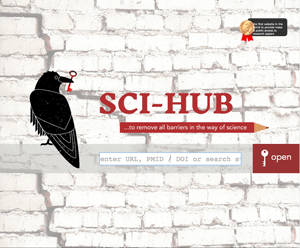 Dubbed by some as the ‘Robin Hood’ of the research community, Sci Hub was founded by Alexandra Elbakyan, a software developer and neurotech researcher to “provide mass and public access to research papers”. It currently contains over 48,000,000 papers. It was set up to fight the corporatisation of knowledge. Many papers are kept behind ‘paywalls’, which means to access them you have to pay a company a per paper viewing fee (typically $30). The authors of these papers, Elbakyan argues, are not remunerated for the per paper pay fee and it’s the third party who simply hosts the paper who pockets that money. She’s fighting against this profiteering and giving researchers, other academics and the public access to knowledge. If you’ve come across other useful resources for researching misophonia, misokinesia or Sensory Processing Disorder please leave a comment below so that we can share it with the community. There are numerous sounds that are “uncomfortable” for me. Chewing, birds chirping, fingers tapping, high heels clacking, whistling, humming, silverware contacting dishes, most repetitive sounds, and many others. Before hearing of misophonia I thought that my reaction to these noises was a learned response and just my inability to deal with them. Now I know differently.